SMS-IC offers NGS Sequencing Solutions as part of its core SMS Innovation Platform service offering. For projects requiring NGS, we provide access to an experienced scientific team who will work with you from early study design through to delivery of bioinformatics data (with your chosen provider) to ensure end-to-end delivery for your project. SMS-IC via our collaboration with Thermo Fisher Scientific have in-house, the NGS Ion Torrent Platform and via the wider Scottish-PME access to Illumina sequencing platforms. 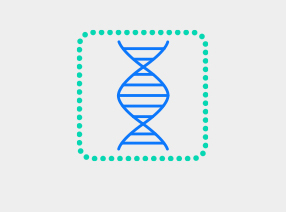 Sequencing Workflows: Developing custom gene panels; designed using AmpliSeq Technology, commercially available gene panels (for example the HCCRP 658 gene panel), Exome Sequencing, Whole Genome Sequencing (WGS), RNA Whole Transcriptome and RNA AmpliSeq.